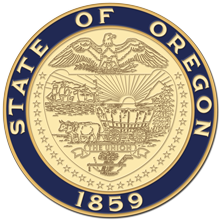 Salem, OR—On Monday, Governor Kate Brown and Attorney General Ellen Rosenblum will celebrate the historic milestone of Bureau of Labor and Industries Commissioner Val Hoyle being sworn into office. For the first time in Oregon history, a majority of statewide elected executive offices will be held by women. The Governor will make remarks at the swearing-in and will be joined by Attorney General Ellen Rosenblum in administering the oath of office. Members of the media are welcome to attend. Those who plan to attend or need additional information should contact Saul Hubbard at 503-363-3451.